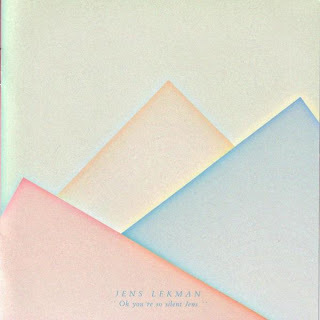 medium rotation ⟳: Jens Lekman: "Black Cab"
Certain songs enter your brain and never leave. I was first introduced to Jens Lekman's "Black Cab" by my brother during a lost weekend in Portland several years back, and I forgot about the song until my girlfriend played it for me, and, happily remembering its excellence, I quickly made it my most-played song of 2009. Jens Lekman is a Swedish popsmith in a nation which takes its pop seriously; he's sort of a Scandinavian Stephin Merritt. "Black Cab" is unusual for indie pop, though, being based on samples. It is, however, constructed over exactly the sorts of samples you would expect of a Swedish indie-pop singer-songwriter, namely 90s wimp royalty Belle & Sebastian and baroque 60s weepers the Left Banke. Taking the simple guitar pattern of a Left Banke album track and adding elements of Belle & Sebastian's "Mary Jo", Lekman creates an entirely new song about a spoiled party and an uncomfortable cab ride home. Lyrically, it sounds like a Lou Reed yarn, wry and funny and touching and sad all at once. I think I'll play it four or five more times.